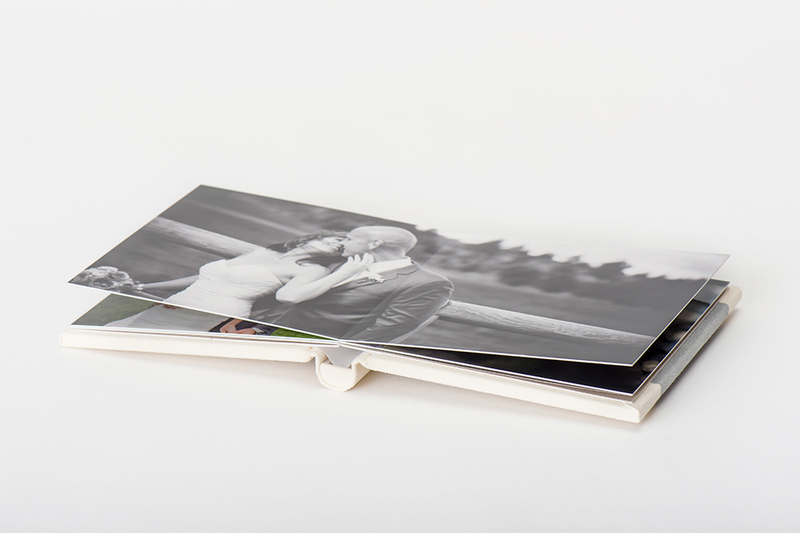 Classic meets modern in this uniquely styled and fun flush mount album. 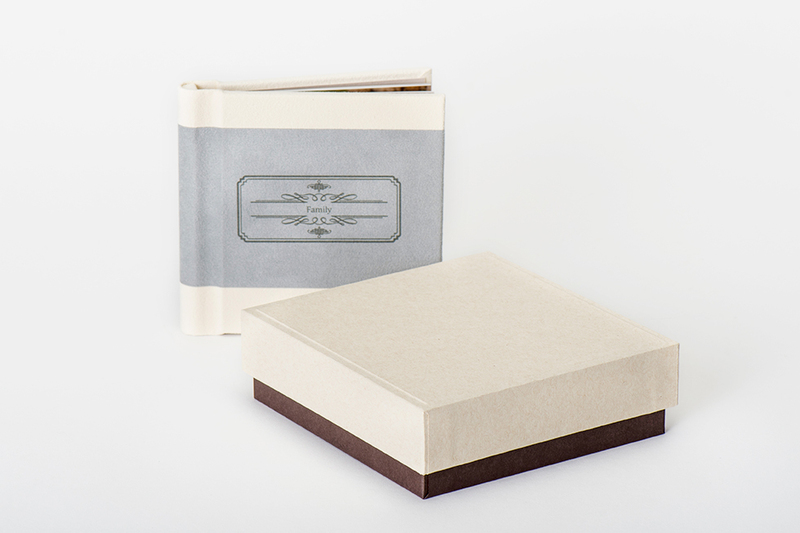 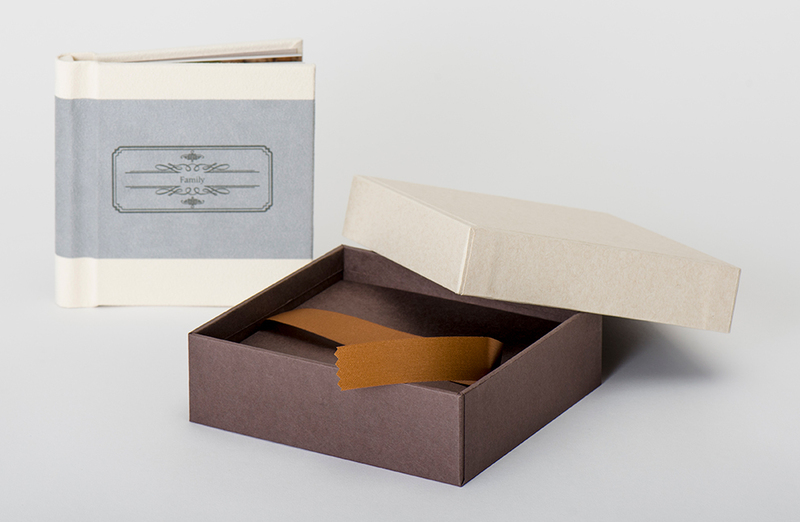 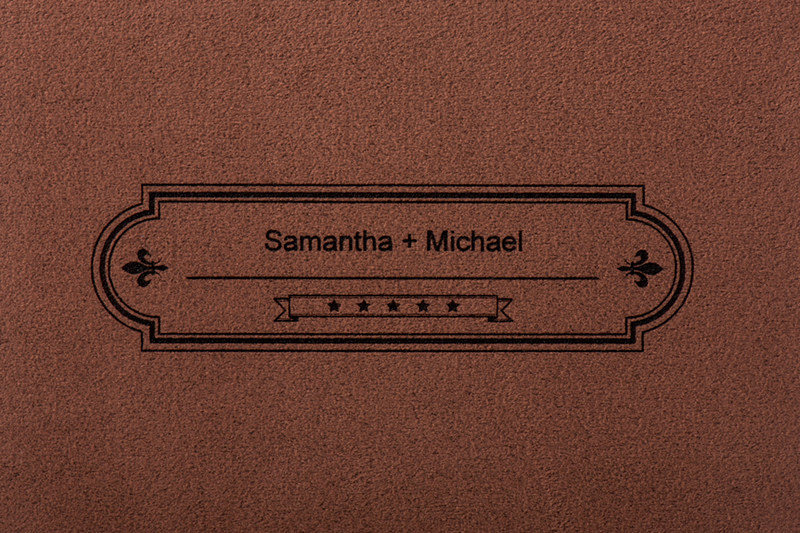 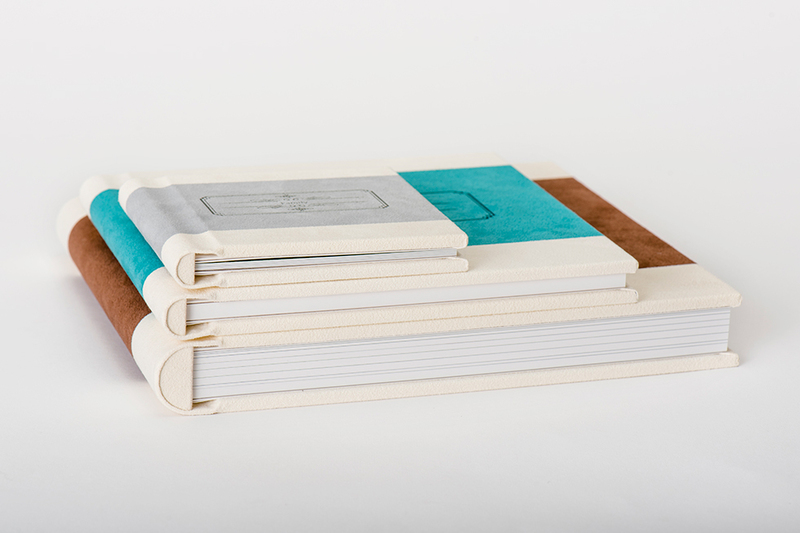 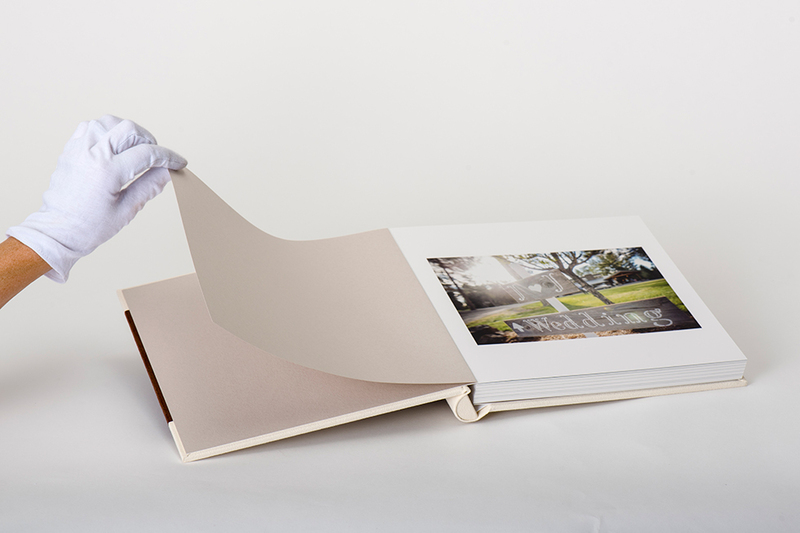 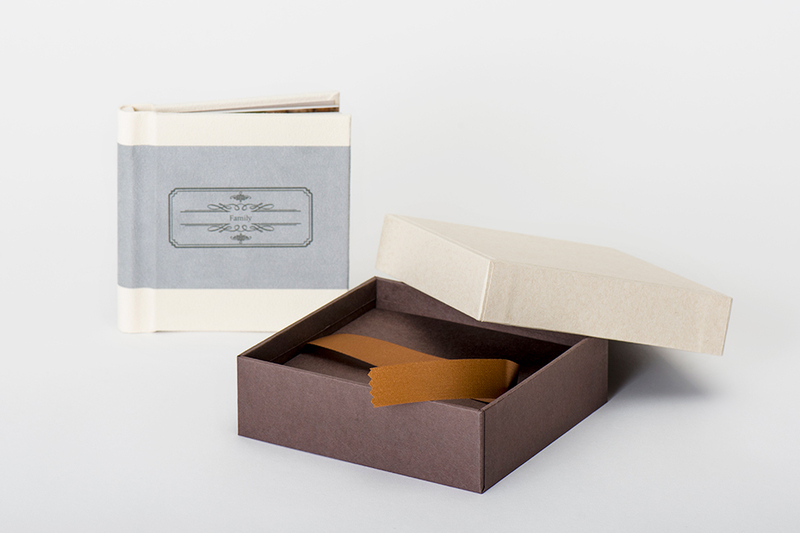 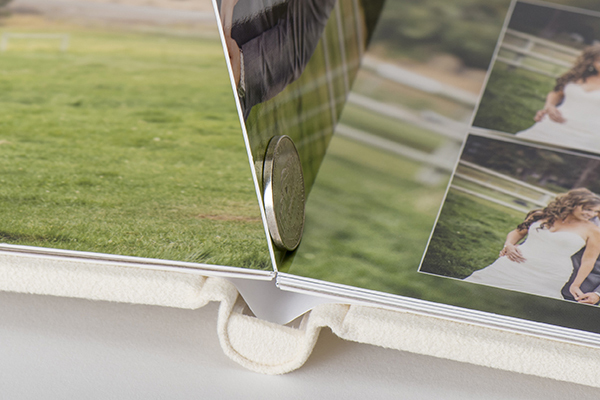 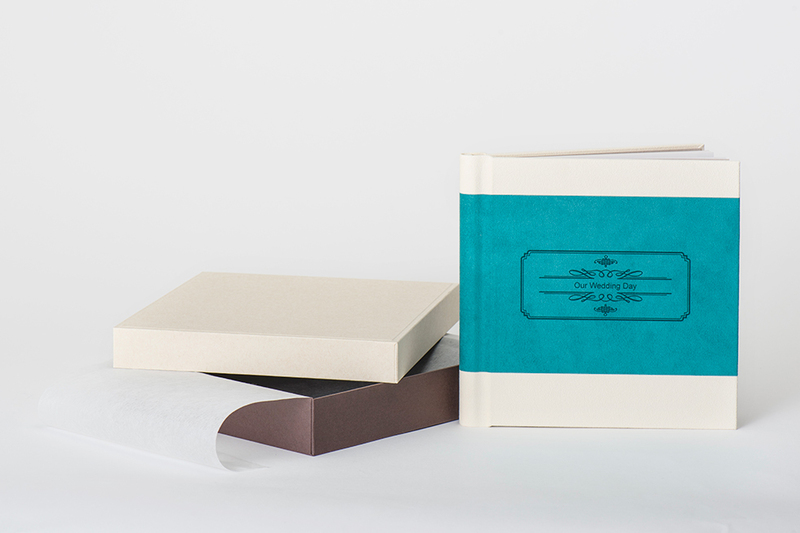 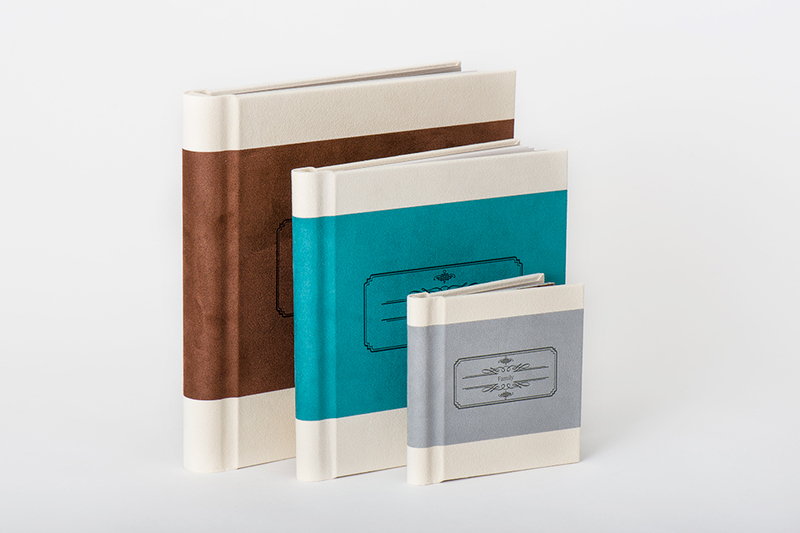 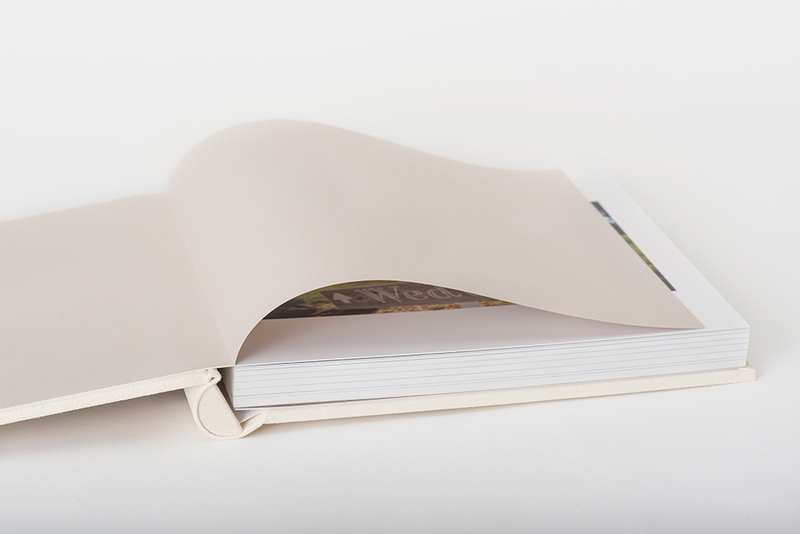 The Heirloom album cover features an ivory, suede-like material with a wide coloured inset accent band. 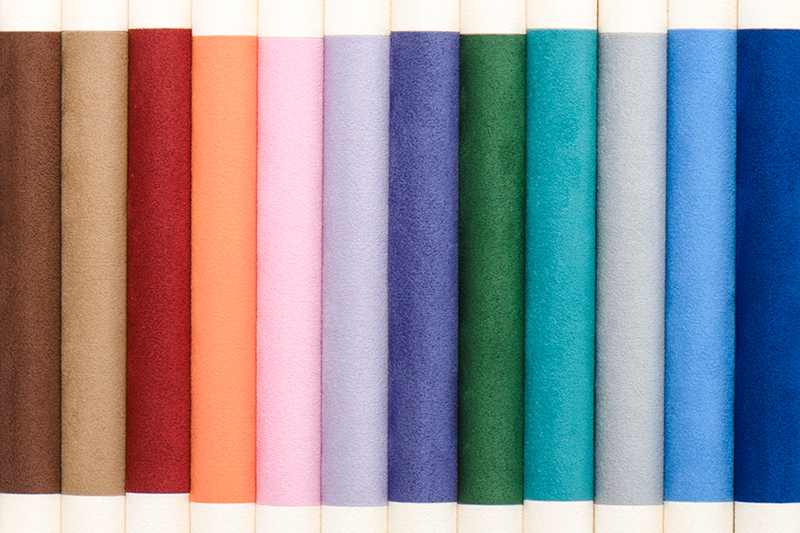 Choose from 12 different colours for a custom look. 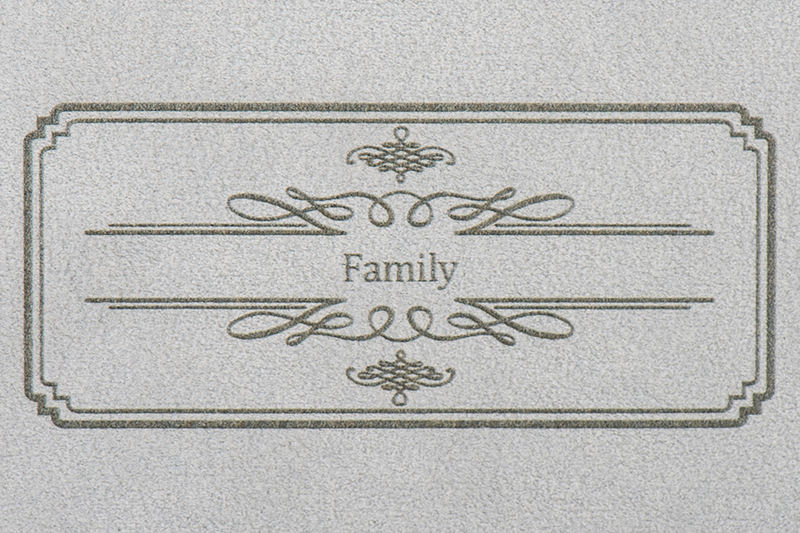 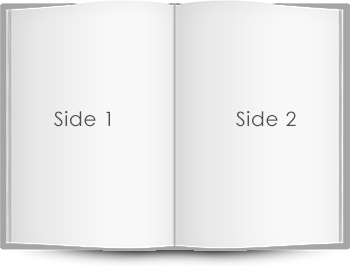 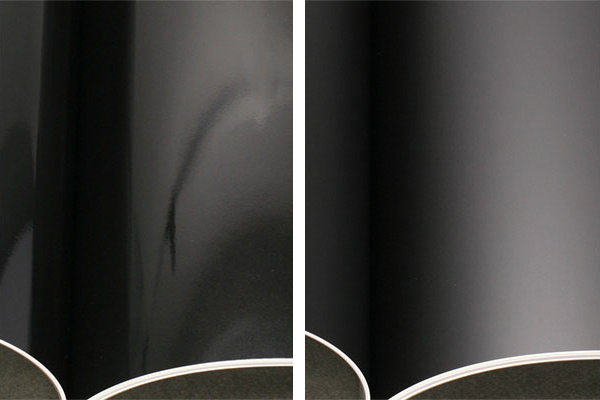 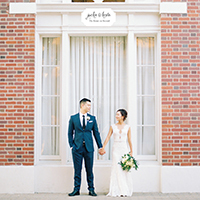 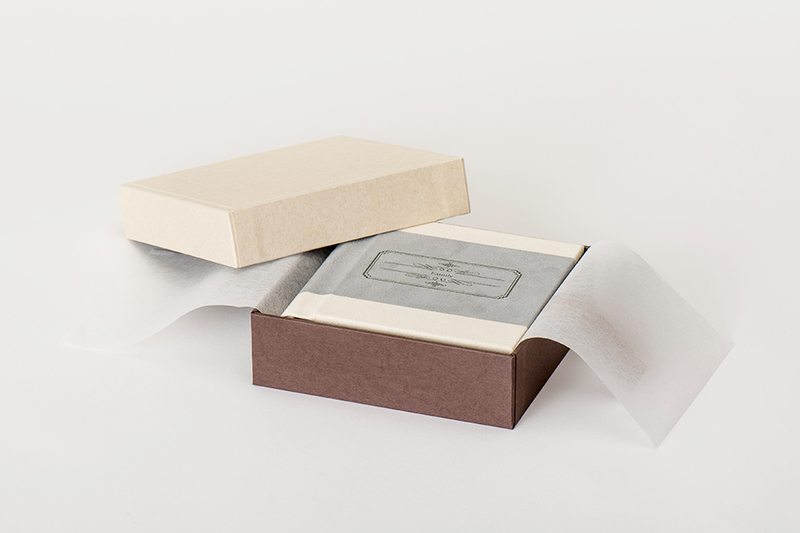 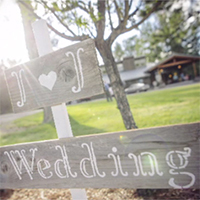 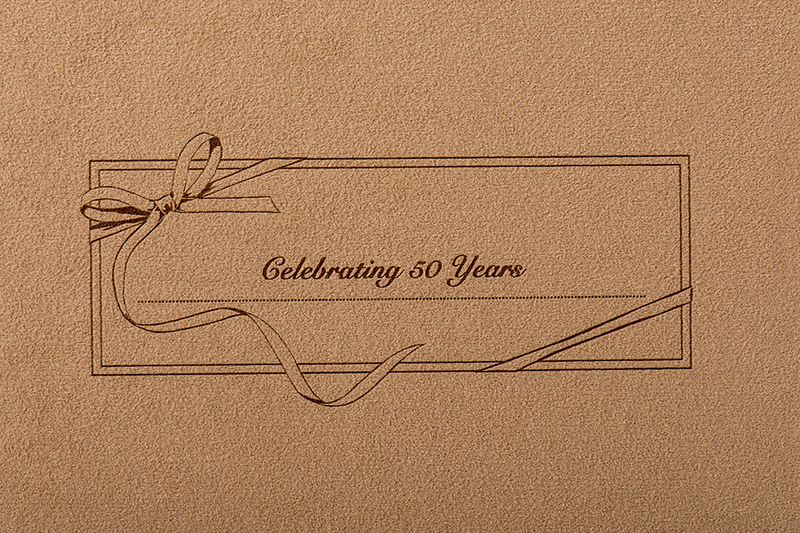 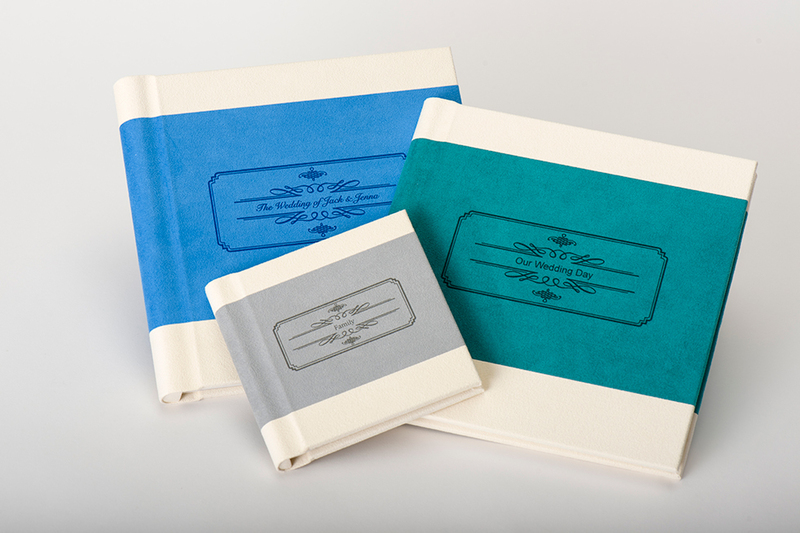 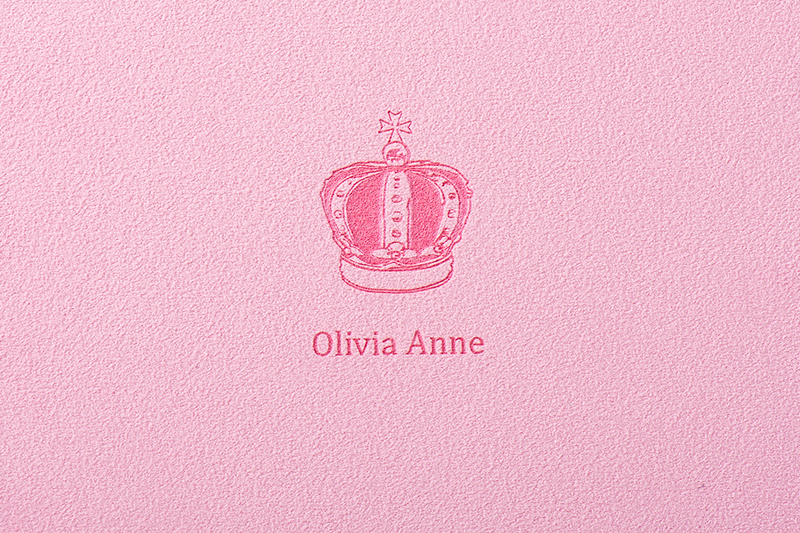 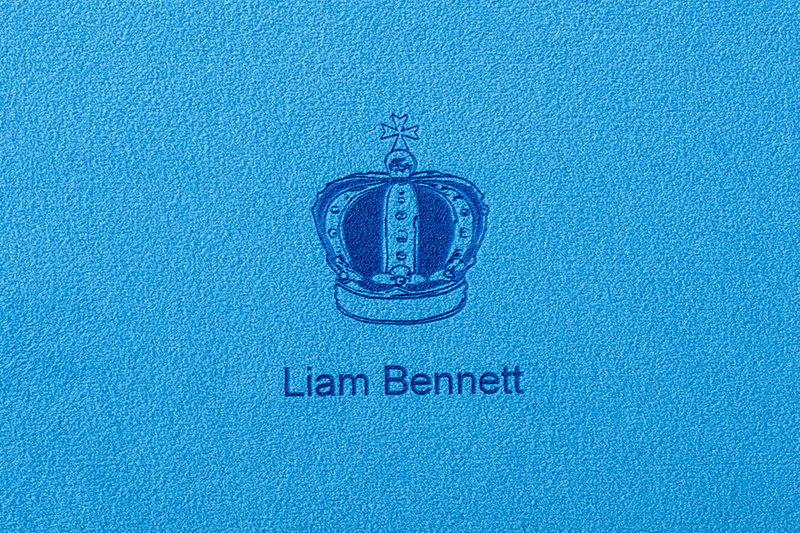 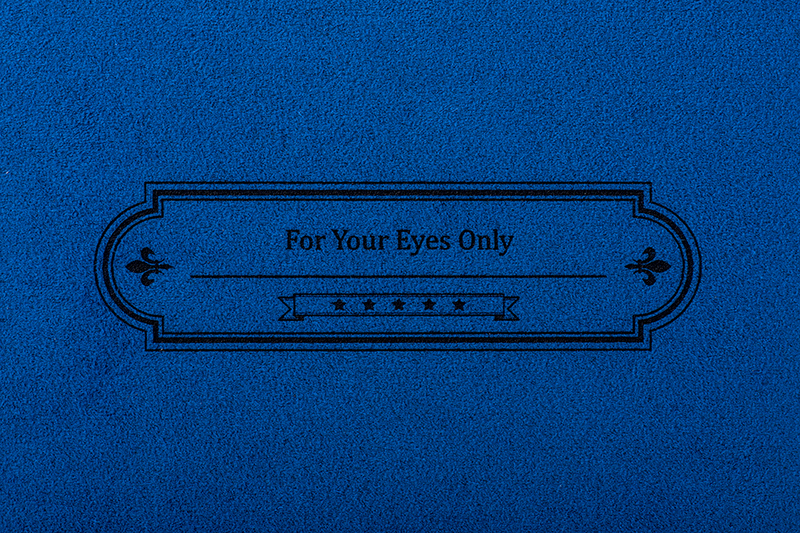 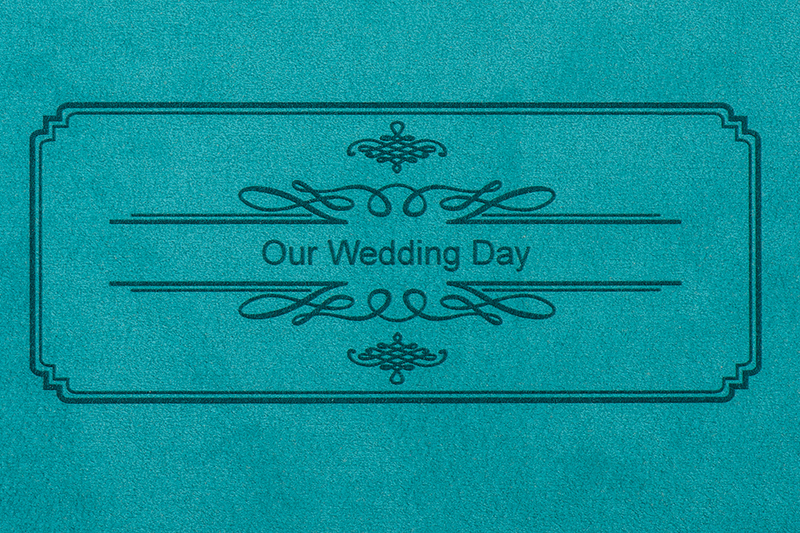 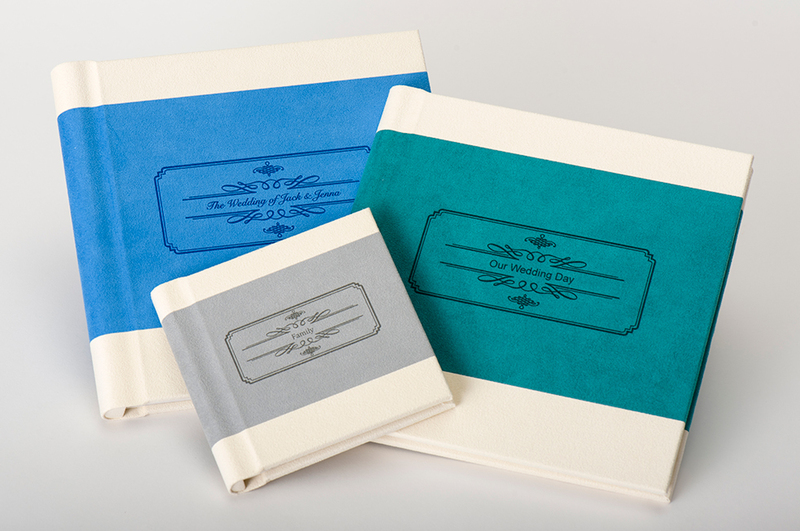 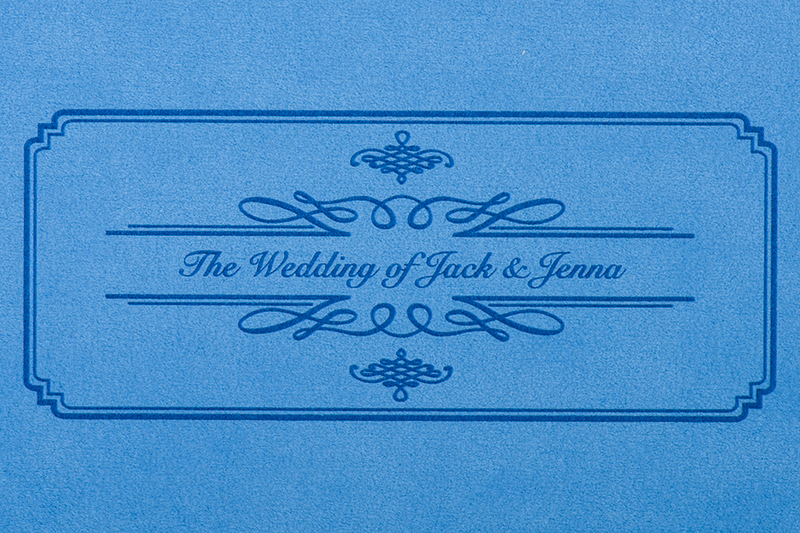 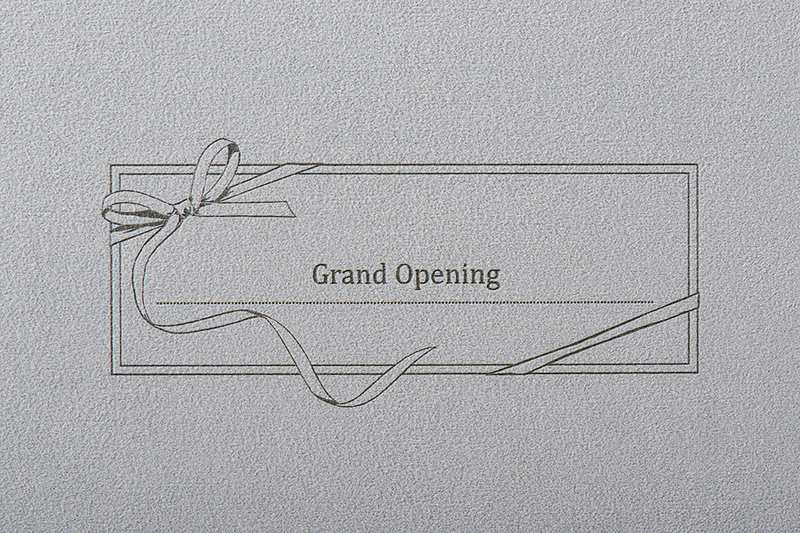 An optional embossed frame design and text can be added to the front cover. 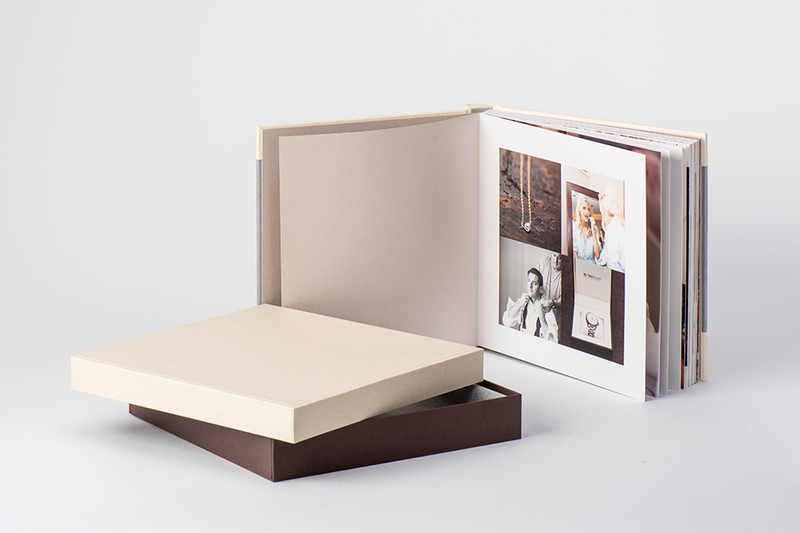 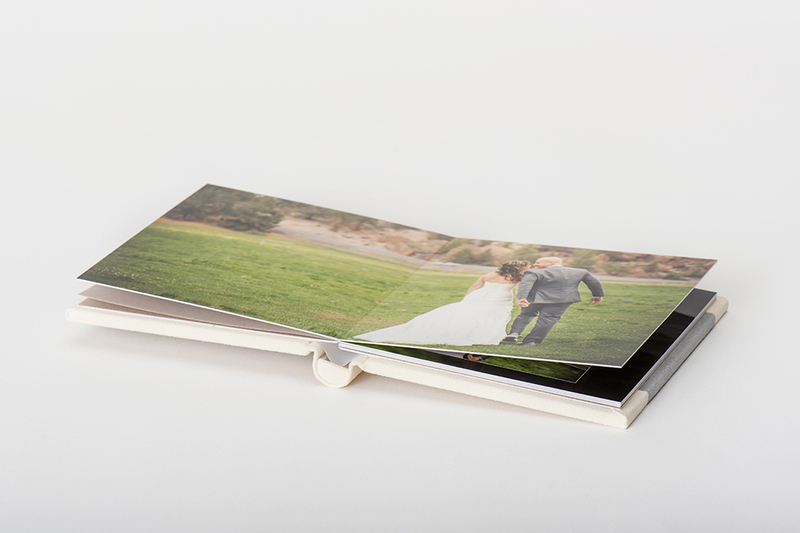 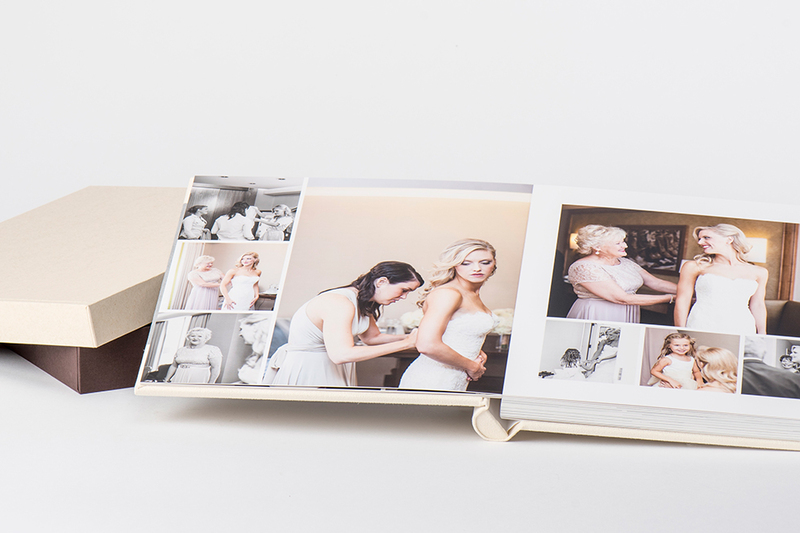 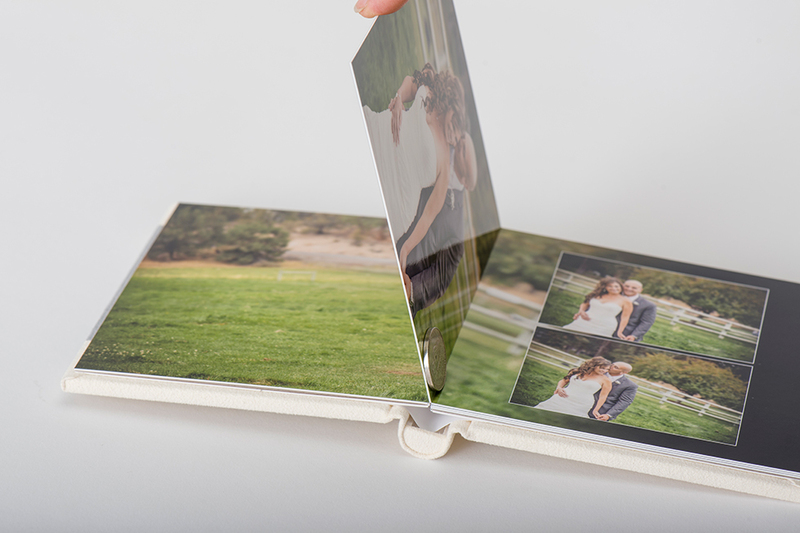 The album contains medium weight, board-mounted pages along with the layflat binding to create a seamless presentation for all types of client images and is packaged inside a sleek, beveled lift-top box.